The Trump family is definitely one of the crème de la crème in the United States. 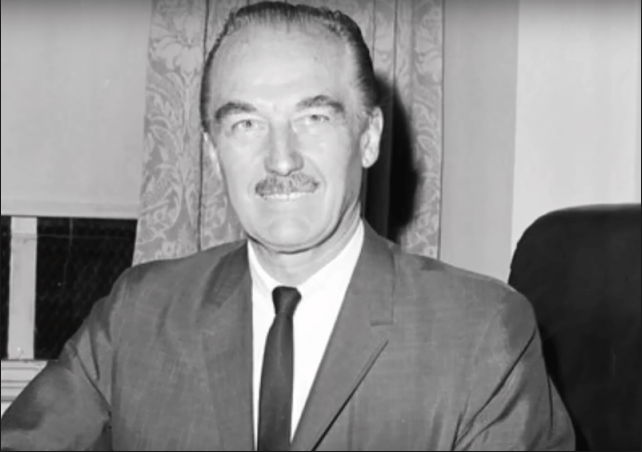 The account of their massive wealth can be traced back to the patriarch of the dynasty – Fred Trump, a multimillionaire American property developer and the father of Donald-Trump – the 45th president of the United States. After his dad’s demise, Fred Trump launched a construction business with his mum Elizabeth as his partner. He started with the construction of garages and proceded to building apartment houses, his acumen later enlarged to encompass barracks, as well as apartments he constructed close to shipyards for the staff of the ‘US Navy’. He moved into the construction of single-family apartment complexes for both middle-income group people and returning servicemen during World War II. The totality of apartments he constructed in New York City and its environs came to a total of 27,000, he was widely acknowledged as a hard-working man before his demise in 1999. Fred Trump was born in Bronx New York City on the 11th of October 1905 and he is of American nationality as indicated by his place of birth. His parents Fredrick Trump and Elizabeth Trump (nee Christ) were Lutherans who immigrated into America from Germany, his dad was from Kallstadt Germany to be precise and he earned a living through his job as a barber but later, he was able to amass a minor fortune from the Klondike Gold Rush but he died when his son Fredrick was 13. Fredrick grew up alongside an older sister named Elizabeth Trump Walters and a younger sibling – a brother called John George Trump. He got his middle name of Christ from his mother’s maiden name. After he was born, the Trump family relocated to Woodhaven, Queens, and he joined ‘Richmond Hill High School where he completed his high school education. He founded his construction business in the 1920s at the age of 15, because he was still underage, he went into partnership with his mum Elizabeth who ran the official side of the business till he attained the legal age of 21. The venture was named E. Trump & Sons; his business took off from constructing garages for newly invented, as well as marketed automobiles. He ended up building thousands of apartments during his active years in the construction business. The last six years of his life was troubled by Alzheimer’s disease but he died at the ripe age of 93 in June 1999 following complications from pneumonia. He was on admission at the Long Island Jewish Medical Center during the time of his demise. The only wife of Fred Trump, Mary Anne MacLeod, was an emigrant from Glasgow, Scotland on the RMS Transylvania. She left Scotland in November 1929 and the manifest of the ship which was the common means of transportation at the time captured her occupation as “maid” or “domestic”, her profession was also captured as such in the 1930 census. A U.S. Re-entry permit which was acquired solely by immigrants who wish to stay and gain citizenship was granted to her and she embarked on some frequent travels internationally which included going back to her home country of Scotland until she naturalized in 1942. Fred Trump – a Lutheran, went into marriage with Mary – a Presbyterian, at the Madison Avenue Presbyterian Church in the first month of 1936, with George Arthur Buttrick functioning as the officiating priest. They held their reception at the Carlyle Hotel in Manhattan with a total of 25 guests in attendance. The newlyweds later settled down in Jamaica, Queens, their union produced five children namely; Maryanne Trump Barry who was born in 1937, she is a judge of the Federal Appeal Court. Their second child Frederick Christ “Freddy” Trump Jr. came the next year in 1938, he was with Trans World Airlines as a pilot but unfortunately, he died in 1981 at the age of 42 from complications emanating from excessive intake of alcohol. The Third child of the Trump family is Elizabeth Trump Grau, she came into the world in 1942 and works with Chase Manhattan Bank as an executive. The most successful of all the Trump children is Donald Trump, the 45th president of the United States of America, a notable television personality and a very successful businessman. Donald was born in 1946. The last of the brood is Robert Trump who came in 1948, he earns a living as a top executive of their late father’s real estate company. 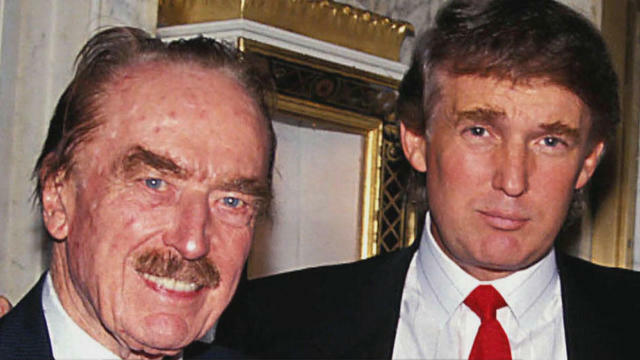 Fred Trump was a strong supporter of several charity houses which included many Israeli and Jewish institutions like; Boy Scouts of America, the Salvation Army, as well as the Kew-Forest School which was the school his children passed through. He supported organizations like; the Jamaica Hospital Medical Center, the Cerebral Palsy Foundation, the National Kidney Foundation and the Community Mainstreaming Associates of Great Neck. He did this by donating buildings to them. All his wealth is believed to have come from his real estate business and as at the time of his death, his estimated net worth was pegged at $250 million by some sources but a few of them took to $300 million. Either was, Fred Trump was a fulfilled man to the end.